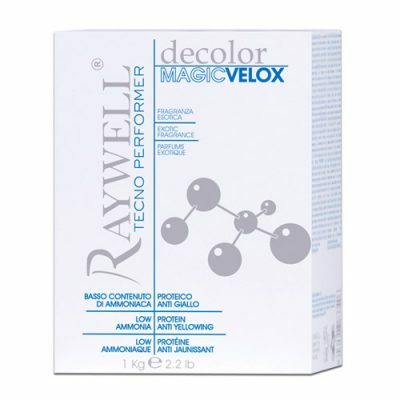 RAYWELL DEKO CREAM is an innovative hair colorant, highly protective, low ammonia, with fragrant fruit essences, completely non-irritating to the respiratory tract. 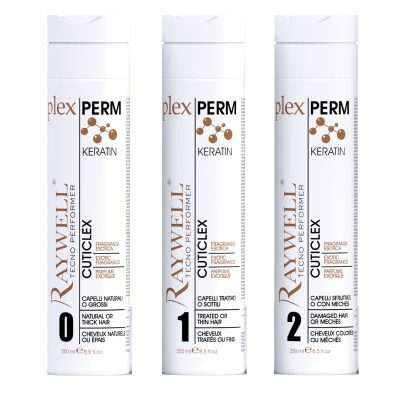 The cream is enriched with oils and protective waxes, wheat germ, emollient substances and moisturizing substances, leaving the shiny and soft hair even after the bleaching treatment. – Clarifies the hair without altering the capillary fiber and without drying the hair, thanks to the oils and the protective waxes contained. – Contains wheat germ that provides nourishment to capillary fiber. – Leave your hair shiny and soft. 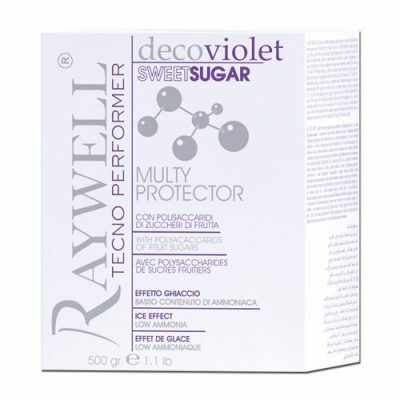 – It makes healthier the work environment as it reduces the risk of damage caused by occupational diseases because DEKO CREAM is totally devoid of the volatile thin dusts present in all normal powder coatings, causing irritation to the first airway. – Complete absence of ammonia odors. 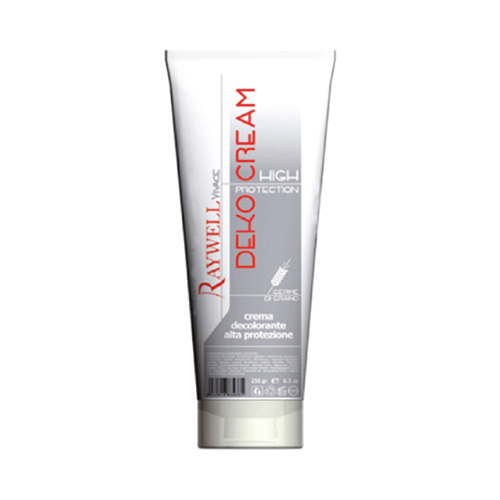 how to use: mix 30 gr of DEKO CREAM plus 45 ml of cream oxidant. DEKO CREAM can be used with the most varied methods (foam, comb, spatula, total decoloration). The laying times vary from a minimum of 20 up to a maximum of 45 minutes. Use with dry heat source decreases the laying times. Application media: 8 each tube.